February 2017 – Ridgecrest P.A.C.T. TYPE OF EVENT: Fatal Traffic Collision. LOCATION: 800 N. China Lake Blvd. 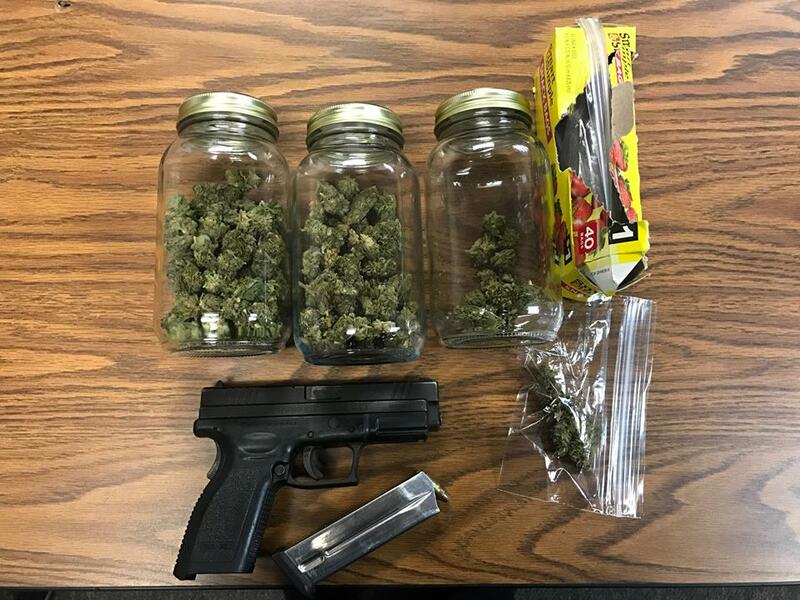 On 02/23/17, at approximately 2105 hours, Ridgecrest Police Department Officers responded to the 800 block of N. China Lake Blvd. regarding a vehicle vs. pedestrian traffic accident. Upon arrival, the Officers located an unconscious male subject laying in the roadway. Medical aid was rendered to the subject however he succumb to his injuries and was pronounced deceased on scene. Personnel from the Kern County Coroner Office arrived on scene and transported the deceased to Bakersfield. At this time the identity of the deceased is being withheld pending positive identification and notification to the family. LOCATION: 200 block N. China Lake Blvd. RESUME OF INCIDENT: On 02/21/17, at approximately 2310 hours, Officers of the Ridgecrest Police Department conducted a traffic stop on a vehicle and identified the driver as Kenneth Charfauros. A search of the vehicle was conducted and over 60 grams of marijuana and a loaded firearm were found. 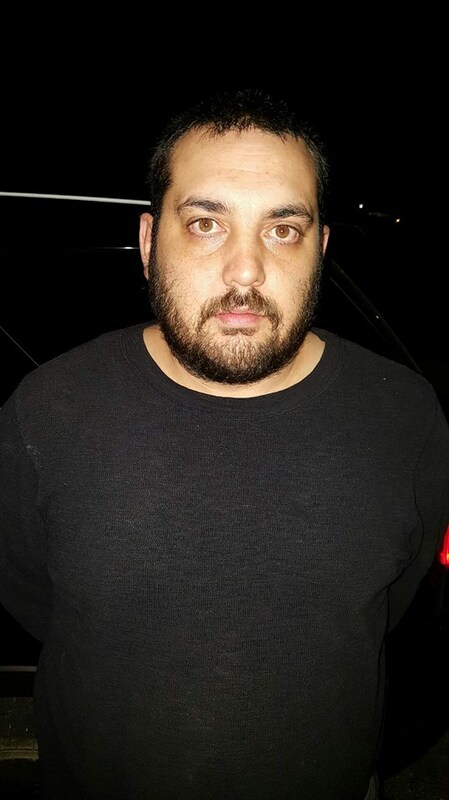 It is believed that Charfauros was in possession of the marijuana was the intent to sell it. Charfauros was arrested, transported to CRF (Bakersfield) and booked. PREPARED BY: Sergeant N. Lloyd. LOCATION: 520 S. Richmond Rd. At about 0843 hours, on February 18, 2017, it was reported that approximately 5 hay bales were stolen from the Desert Empire Fairgrounds (520 S Richmond Rd.) by a male subject in a blue Chevrolet pick-up. 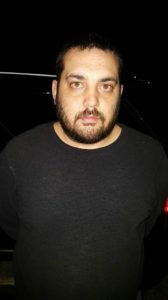 Based on pictures of the pick-up truck, license plate of the vehicle, and a description of the driver, the suspect was identified as Nicholas Stiles. On February 19, 2017, Stiles was located in the 1000 block of S County Line Rd. and arrested for the violation. It was also learned Stiles had violated a domestic violence restraining order on 02/18/2017 by contacting one of the protected parties in the order. Stiles is on Post Release County Supervision, (PRCS), and a hold was placed on him for the violation of his terms. Stiles was booked at the Kern County Jail, Mojave. Stiles is being held without bail. On February 20, 2017, the blue Chevrolet pick-up used in the theft as well as the stolen hay bales were located in the 1800 block of E Dolphin Ave. The stolen property was seized and returned to the owner. TYPE OF EVENT: Residential Burglary. LOCATION: 500 block of W. Howell Ave.
On 02/13/17, at approximately 0410 hours, Officers of the Ridgecrest Police Department responded to the 500 block of W. Howell Ave. regarding an armed residential burglary suspect. The suspect fled the area prior to police arrival and was caught a short time later. 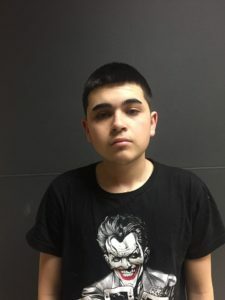 He was identified as 18 year old Jose Baltierrez and was not armed. During the investigation, it was learned Baltierrez had entered into the residence through an unlocked side door and was taking the victim’s marijuana plants when the victim confronted Baltierrez. 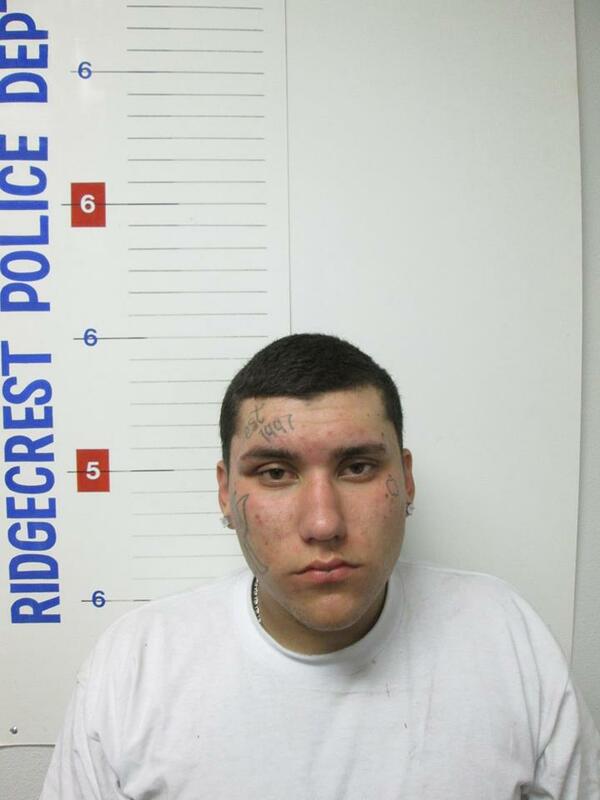 Baltierrez was booked at the Ridgecrest Police Department Jail and later transported to the Kern County Jail in Bakersfield. It should be noted that Baltierrez was arrested and booked for a similar crime on 01/16/17. RONALD N. STRAND, Chief of Police. On 02/08/17, Ridgecrest Police Department Detective Groves, Detective Cushman and Officer Huard were conducting an AB30 Probation – Parole sweep. They were searching for Ray Sigala who was wanted on a 3056 PC, no bail hold, from California State Parole. While in the 400 block of W. Moyer Ave. Sigala was observed exiting the back door of an apartment. When Sigala saw the RPD Officers he retreated back inside of the apartment and Officers gave chase. Sigala continued to run out the front door of the apartment and a foot pursuit ensued. Sigala was chased to the 1200 block of Mt. View St. and pursuing Officers briefly lost sight of him. Responding Patrol units arrived and quickly established a perimeter to contain Sigala. 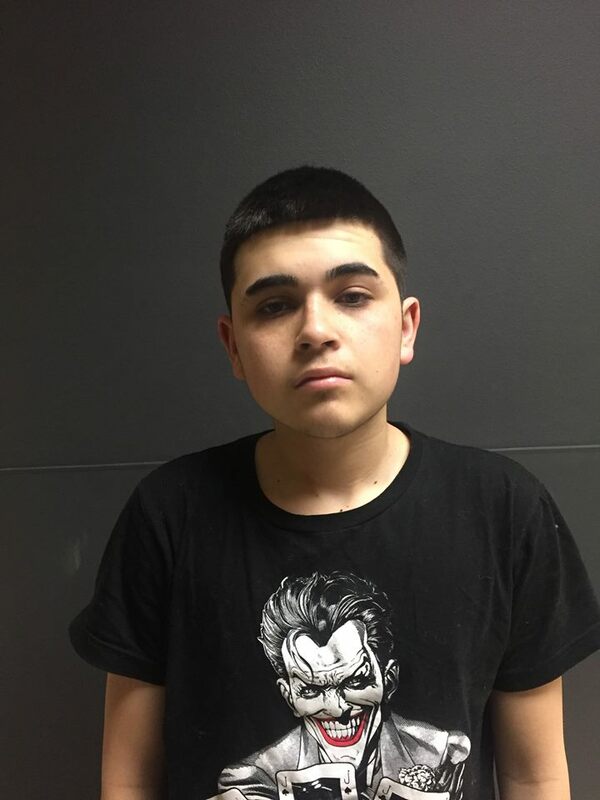 The Pursuing Officers were able to quickly locate Sigala hiding in the front yard of a residential home, underneath a small hedge attempting to hide and avoid capture. 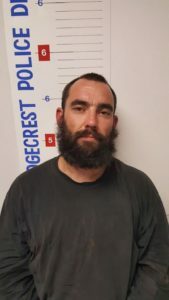 Sigala was taken into custody and held on the above listed charges at the RPD holding facility, awaiting transport to the Kern County Sheriff’s Office for booking.